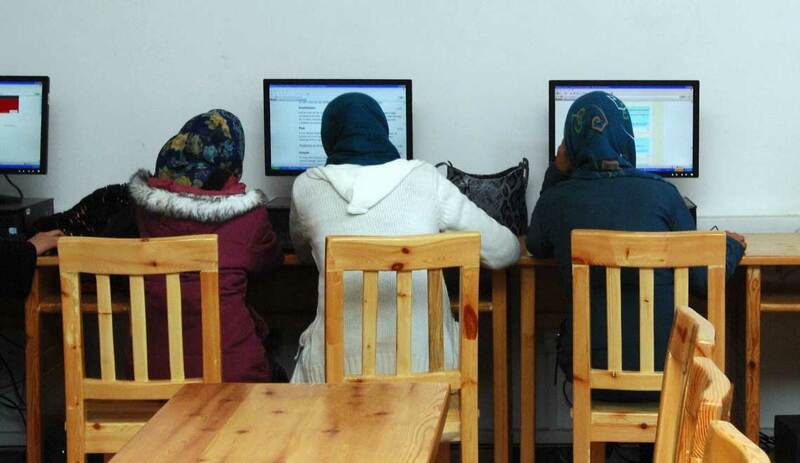 Digital Literacy: The way to women’s economic empowerment - sister-hood magazine. A Fuuse production by Deeyah Khan. The digital revolution has changed the way we think, live and work. The world has reached a point where digital literacy is fundamental for finding a job. In future, ninety percent of jobs will demand digital skills. The ICT sector is growing. The Digital Agenda for Europe estimates that by 2020 there will be a skills deficit that equates almost a million unfilled jobs. Despite high unemployment across Europe, the huge e-skills gap is a barrier to accessing existing roles in the sector. In order to boost competitiveness, productivity and employability of the workforce, we need to bridge this e-skills gap by updating the skills of the existing talent pool. I am not the only one that feels this way. But my path to get to where I am now, which is working on getting more women into the IT workforce worldwide, and enabling women in developing nations to become economically independent through the use of the Internet, is maybe a bit more special. I was very fortunate, compared with many other women from the same background. When I was seventeen, my family decided to move back to Pakistan from Malta. The girls in Pakistan did not have the same educational opportunities as I did. Freedom of movement was a huge challenge, travelling to school, university or work was often so difficult that being admitted to school or getting a job was unimaginable for these girls and young women. During a visit to remote areas of the Thar desert of Pakistan in the summer of 2010, I was documenting a local demonstration in Layyah City with my small digital camera for my blog. While most eyes were on the protestors, many were on me as well, as I was the only woman with a camera. Some days later, a few young ladies came to visit me. One of them was Rashda, a graduate fresh from the local college. She had had a successful job interview at a local relief organization that needed female staff to help their female beneficiaries. But they needed someone with computer and Internet skills. Rashda asked me if I could teach her how to use the computer for data entry. As no woman in her family had had the opportunity to have an education or a career before, I knew this could be a life-changing moment for Rashda. If she didn’t get a job this would mean she would have to enter an arranged marriage with her first cousin from the next village. The rest of her life would be spent taking care of her husband and in-laws and meeting expectations to have lots of children ̶ preferably boys. In the next months, I designed a project and mobilized local women leaders to empower young women of Layyah and the neighbouring villages through a Community Technology Center for Women. The project was welcomed by women from all walks of life. At the launch of the centre, Rashda did not show up. I asked after her. Her older sister told me that she had been married off. Unfortunately, my project came too late for her, but this event strengthened my belief that projects like this one were very necessary. This small pilot project gave me an idea to start an initiative to help women around the globe access technology. My initiative is called ChunriChoupaal. A Chunri is a brightly coloured scarf worn by women in South Asia. A Choupaal is a sitting place where village elders (invariably men) make decisions on behalf of the community members. A ChunriChoupaal Center is meant to provide a meeting place for the women leaders and agents of change of the future to come together, discuss their issues, learn and share skills. The main purpose of these centres is to provide an empowering and safe environment for women to work, and to meet other women. The project has received positive feedback from women around the world. We have created a non-profit organization in the Netherlands, and we are currently in the process of creating a fundraising group for the project. We have also started creating a global curriculum which can be used and modified according to a community’s local needs. I feel I am in a unique position to start this initiative as I originally come from a rural background myself. I was lucky to have access to technology, enabling me to learn the skills that enable me to use the computer and the Internet. With the skills I have learned and the I have connections built, I ended up representing my country (Pakistan) at international forums, such as the UN’s Internet Governance Forum, where I highlighted the problems of young people in my community. With the network built over the years through the Internet, my unique position of being connected to an amazing group of women and organizations is giving me the strength to help other women leaders expand their horizons and unlock their potential. I may not have been able to help Rashda, but my work for the digital inclusion of women will help many others like her. 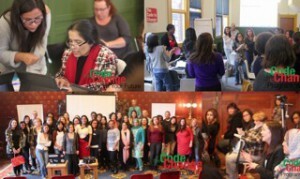 After moving to Europe in 2011, I started speaking to women’s groups in Amsterdam about my work in Pakistan and the importance of digital literacy for empowering those women economically. This led to a discussion on the need for similar initiatives in Amsterdam. To support my work I set up a meet-up group, Amsterdam Women in Technology to connect like-minded women technologists who were passionate about creating change around them. These women wanted to teach others what they knew to enable them to join the technology sector. This led to the launch of The Code to Change programme. The Code to Change programme is an extensive 5-month programme aimed at women who are looking for new challenges and who want to kick-start a career in ICT. It consists of three phases. In the course of our work we are often asked the following question by women pursuing personal growth and professional change: “Where do I start?” The Code to Change programme answers that question and paves the way for a smooth start to a new career. This way we try to not only enable women to fill the increasing number of ICT jobs that remain vacant, it also helps to balance the gender inequality in this field. The programme is powered by our community of techies and allies who are passionate about teaching digital skills in order to address the problem of shortage, acquisition and retention of females in the IT sector. Having more women in ICT not only helps new women getting an exciting new career, it also will help retain the women that are already there by making the working environment more inclusive. Most importantly, it will help the ICT sector as a whole, as diversity makes any team greater than the sum of its parts. What I have learned throughout my career is that we all need support. We all need mentors to guide us through the barriers that might stop us from moving forward on our learning journey. Learning a new skill can be scary and self-doubt can make it a crippling experience. We are amazed at the amount of support the tech community has shown us because of their desire to give back, to pay it forward. We need to leverage this drive to ‘give back’ to bring positive and lasting change and to support others in achieving their goals. 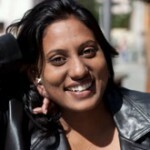 Iffat Gill is a social entrepreneur, digital strategist and activist working on gender equality and economic empowerment of women through digital inclusion.